This is the eGuide number for the object. You can find it next to selected objects in the exhibition. This is the location number for the object. Click here to go to the main menu. Click here to change languages. Click here to change the font size and log in. Click here to show the location of the object. Zoom with two fingers and rotate images 360° with one finger. Swipe an object to the side to see the next one. Click here for background information, biographies, legends, etc. Click here to listen to spoken texts or audio files. 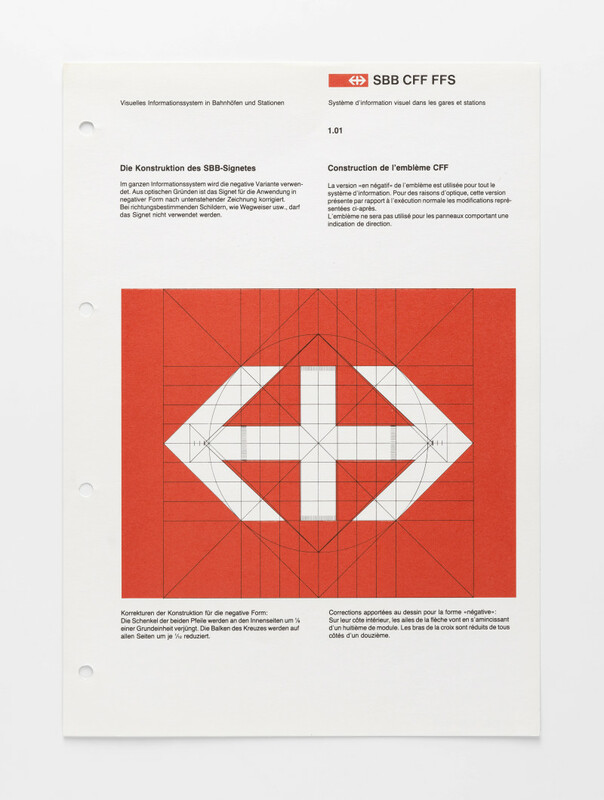 In the 1970s, the Swiss Federal Railways (SBB), under pressure from private road transport, began a policy of expansion. And its graphic identity was finally given its due importance. 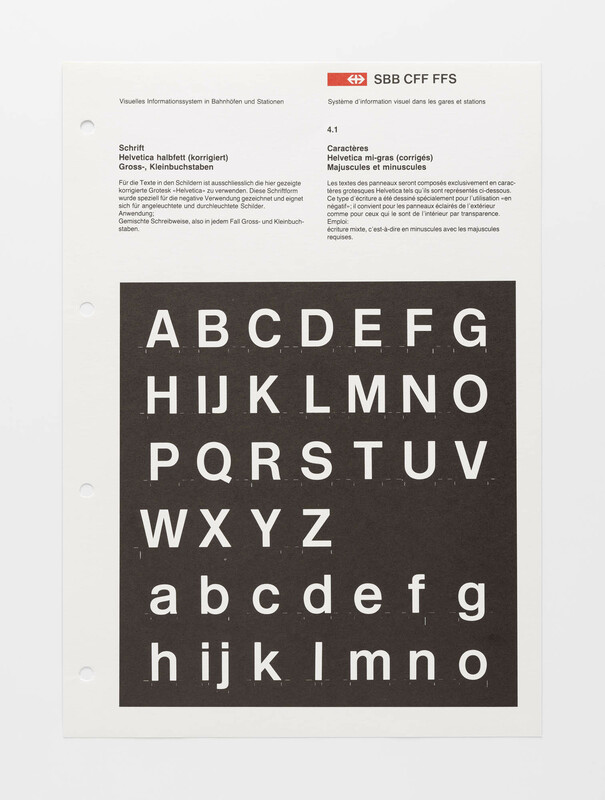 The SBB’s comprehensive information system rapidly took on international significance. 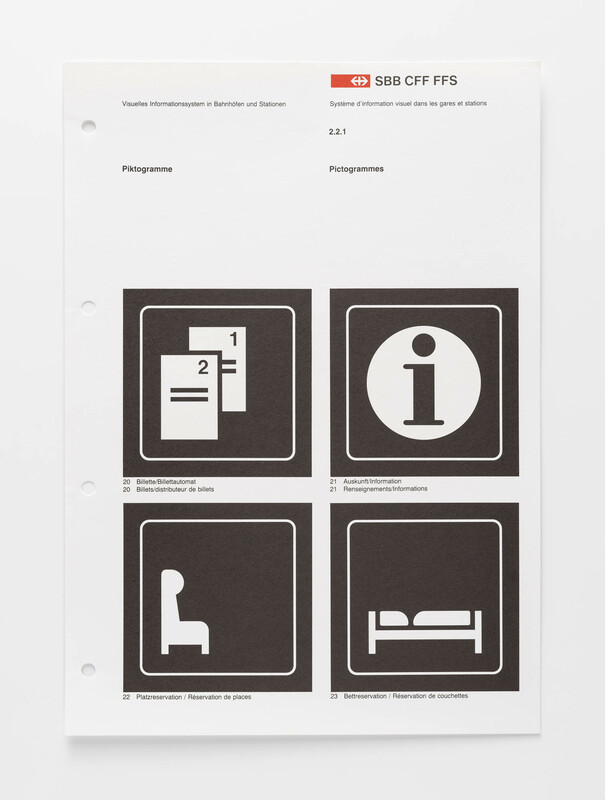 Claude Lichtenstein, «Visuelles Informationssystem für die SBB: Müller-Brockmann + Co», in: Museum für Gestaltung Zürich (Hg. 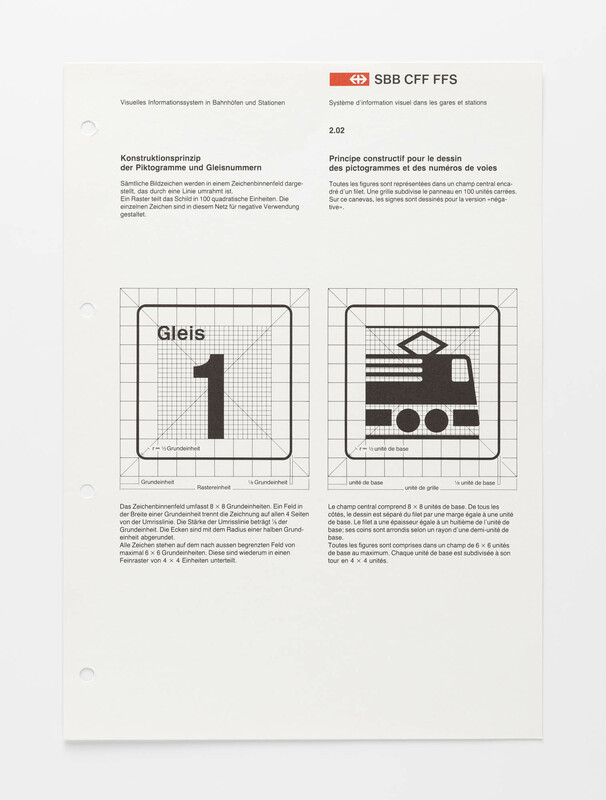 ), 100 Jahre Schweizer Grafik, Zürich 2014, S. 202−203. 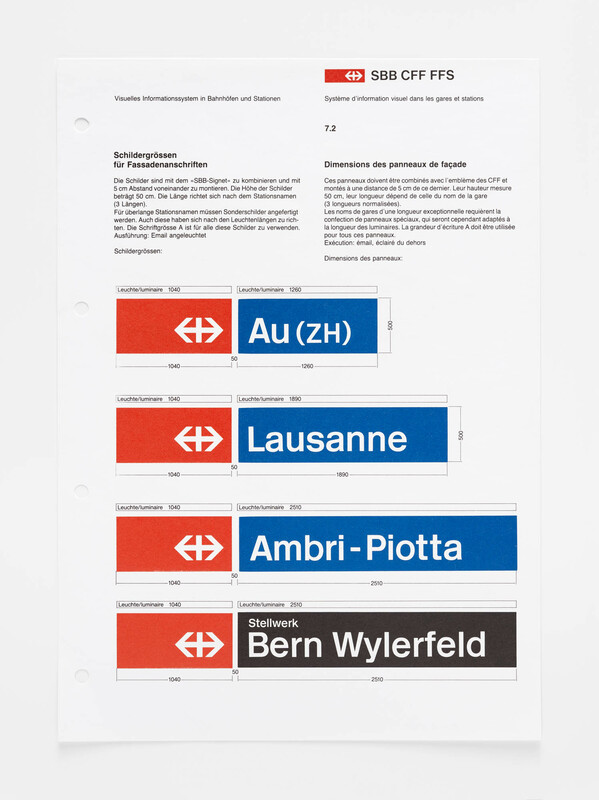 In the 1970s, the Swiss Federal Railways (SBB) adopted a policy of expansion as a result of increasing private road traffic. 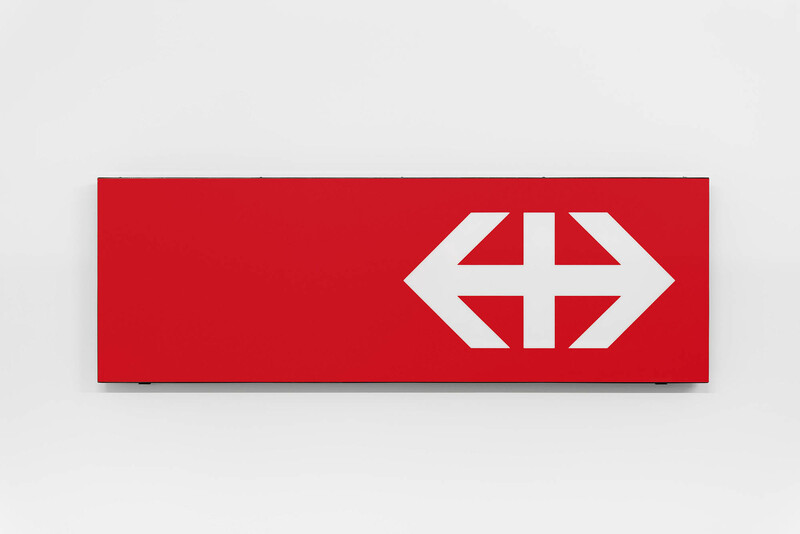 Josef Müller-Brockmann and Peter Spalinger’s visual information system combined the station signs with the “Swiss flags” logo and added pictograms, directional arrows, track numbers, departure display panels, timetables, and the route book. The design rules are based on a simple grid, making it possible to intuitively direct even today’s increased passenger flows.